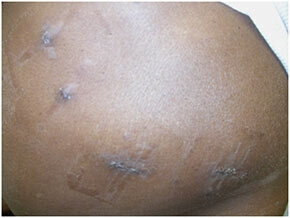 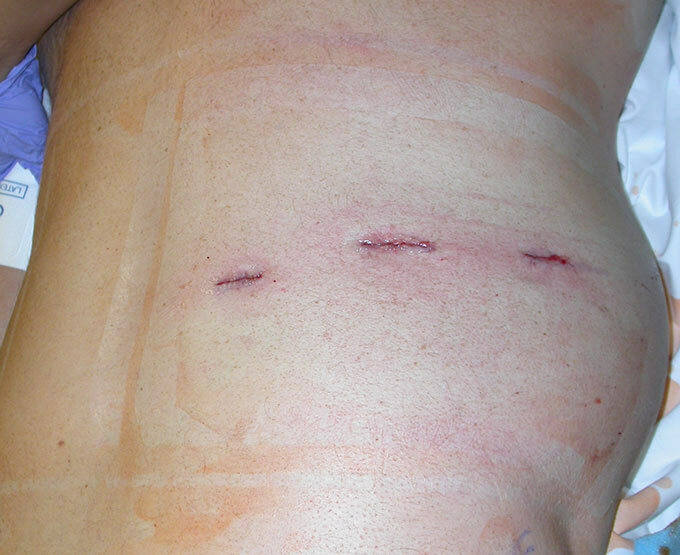 Skin glue covering incisions. 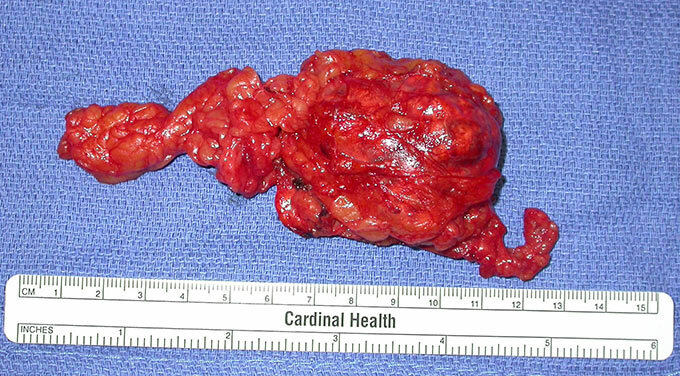 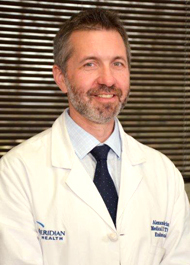 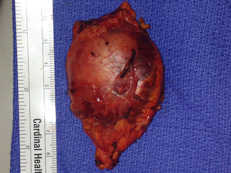 Immediately (at the end of the surgery in operating room) after the right posterior retroperitoneoscopic (laparoscopic approach through the back) adrenalectomy for pheochromocytoma (the tumor that was removed is shown on the following picture). 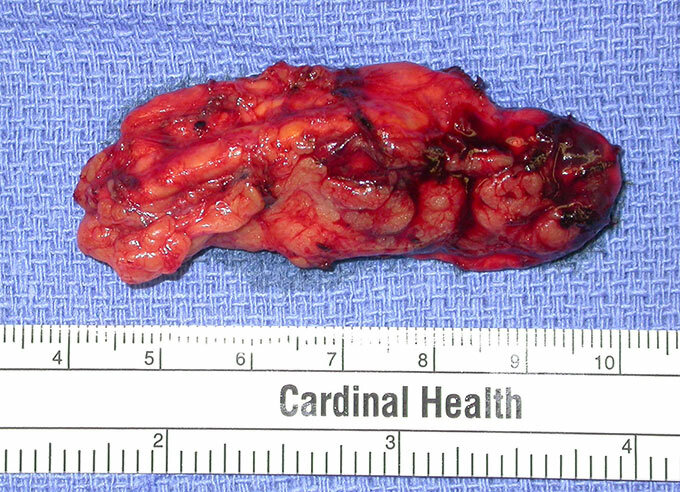 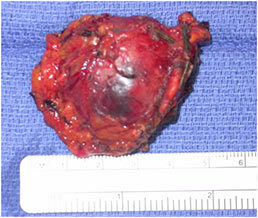 Pheochromocytoma (adrenal tumor) within the right adrenal gland (from the patient on the prior picture). 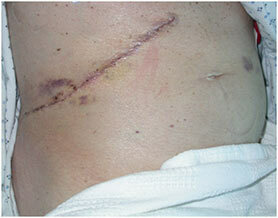 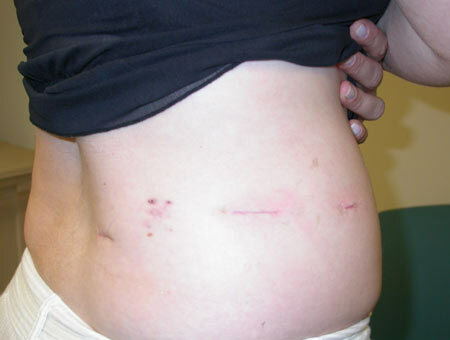 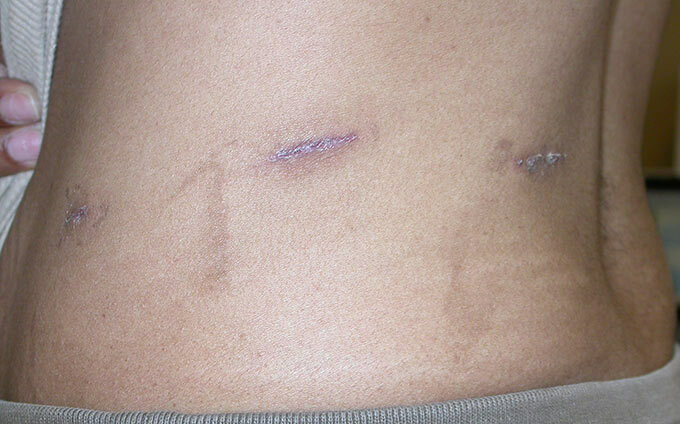 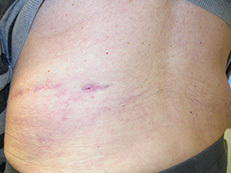 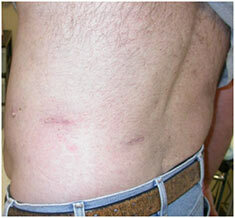 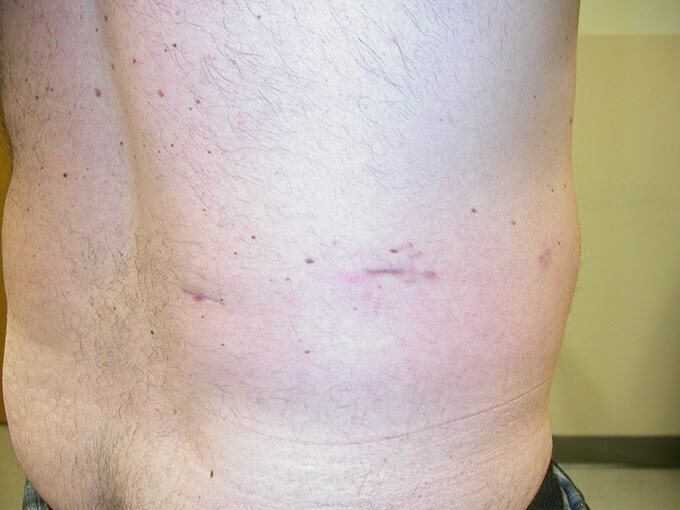 Scar in one week after the open right radical adrenalectomy for adrenocortical carcinoma.